Rift Healer is the first installment of the 'Forest Magic' series, a Young Adult Fantasy/Romance set in Central and Western Massachusetts. After a minor earthquake, the enchanted forest in Bidwell, MA, is infested with monster-spewing rifts. Gisele Westerfield's great nephew, the gifted Micah, and his distant cousin, Selena, arrive to assist. 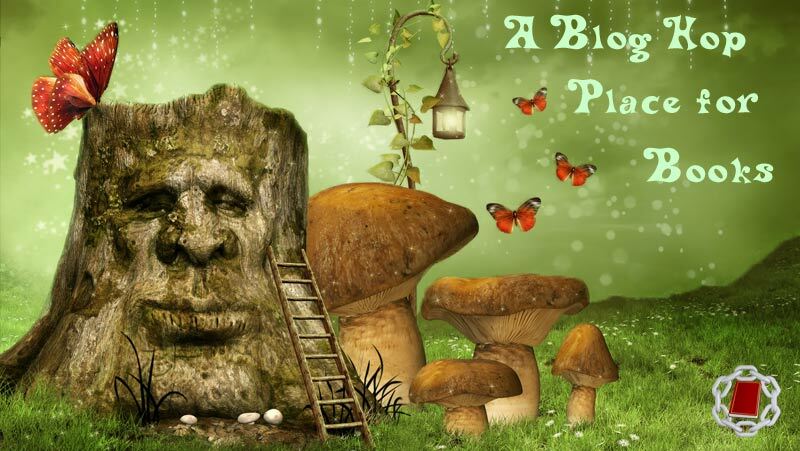 Together with Gisele's summer students, twins Haley and Lacey, they will try to heal the magical forest. Much to the consternation of the beautiful Selena, Micah identifies Haley as The One whom he'll share his future. But after witnessing a terrifying display of Micah's Gift, Haley cools to his advances and unexpectedly discovers her own Gift-- she can heal the earth. Monsters, mayhem, and teenage angst follow the small group as they confront evil in the forest and a dangerous prediction that 'one will fall'. Will they heal the rifts in time? 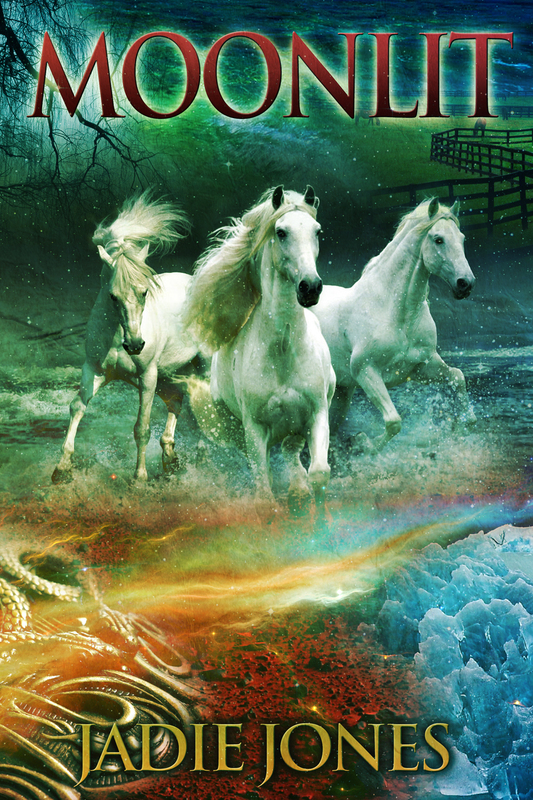 Can they save the unicorns? And is Haley really destined to be with Micah? “Tanzy.” Vanessa’s voice is low behind me. A jolt of heat zips through my body, followed by an icy wave of dread that wraps around me like a wet blanket and starts to squeeze. I can hear myself gasping, but my lungs don’t recognize the oxygen each time it rushes in and out. I’m suffocating on air. I wait for her to gasp or yell, but she is silent. She walks over to “John,” in a plain, unhurried stride and then toes at him with her silver shoe. He lets out a low moan. “We need to call an ambulance,” I stammer, wrapping my sweaty arms around my trembling frame. “The hell we do. He’ll be fine,” she says and glares down at him. “I saw what he was trying to do. That’s no way to treat a lady,” she scolds. He tries to yell but it comes out as a gurgle. “See, he’s fine,” she says as she kneels beside him and fishes his wallet out of his back pocket. “What are you doing?” The whispered words claw their way up my throat. “What do you know? His name really is John,” she says as she tucks his cash into the neckline of her dress and drops his credit cards and driver’s license down the storm drain. I hear her toss his wallet into a stack of cardboard boxes piled against the brick wall, but I can’t tear my eyes away from John’s face, which is such a bloody mess that I can’t remember what he looks like underneath. “Come on, let’s go,” Vanessa says and puts a hand on my back. Young Torbjorn Trofastsonn comes from the clan that makes them. He's a Viking through and through – he's thirteen winters old, larger than most respectable rocks, and most of all, a Buttersmith. 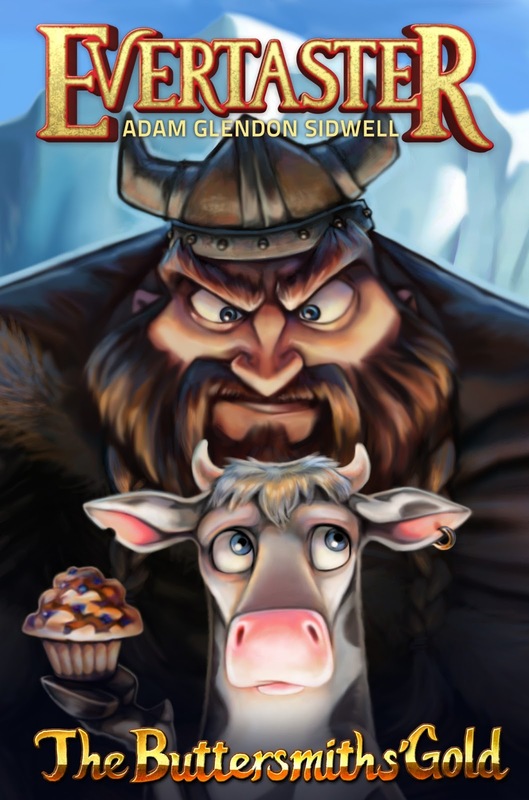 That's what he thinks anyway, until a charismatic merchant makes Torbjorn question his place among the muffin-makers. When Torbjorn lets the secret of his clan's muffin recipe slip, he calls doom and destruction down upon his peaceful village and forces his brother Storfjell and his clansmen to do the one thing they are ill-prepared to do: battle for their lives. His chivalry was strangling her. He thought he was helping her—and in truth, he was. She was in desperate straits. But as honorable as he was, he was also breaking her heart. Her attraction was drowning him. When World Champion rodeo cowboy Rossen Rockland and his friends rescue a young runaway who has been abused by her foster father and take her home to his parents’ ranch, he expects her to turn out to be a pain in the neck. And sometimes she is. It doesn’t take him long to figure out that she has way more than her allotment of troubles—and far more than her share of gifts. Lovely, talented, and ravingly brilliant, Kit Star is too young, unbelievably humble, and oh, so loveable. Knowing that she needs his protection and time to grow into her potential, Rossen also figures out that what she really is, is a pain in the heart. Millions of lights on the Las Vegas strip streamed through the smudged bus windows like alarm beacons. It felt like hundreds of flashing cop cars at some freakishly huge accident. The glare made the hungry knot of worry in the pit of her stomach tighten. Before she’d even gotten off the Greyhound, Kit knew she'd made a disastrous mistake. His best friend and roping partner, Slade Marsh, had gotten out to double check the horses in the trailer they were pulling and wash the windows, while Slade’s fiancée, Isabel remained in the cab. Even at this hour of the night, Las Vegas was just really getting going and she was more secure inside in this wide open party town. The three of them had just come from the last round of the National Finals Rodeo, where the two men had taken top honors in their events. They'd reached their ultimate rodeo goals, but now, as tired as they were, they just wanted to go home. They’d been on the road rodeoing for most of the year, and it had been a great ride. But the season was over, Christmas was a mere ten days away, and they intended to be home on their ranches in Wyoming by morning. The entire National Finals had been a roller coaster of not just rodeoing, but several other troubling instances as well, and the three wanted to leave the hubbub of the City of Sin behind, and return to the peace and serenity of the mountains. Almost as if Rossen’s thoughts had started it, the girl was approached by a cocky youth from the gang hanging out behind the station. Even though Rossen’s tanks weren’t yet full, he returned the nozzle to the pump and jumped back into the truck. As Slade climbed back into the passenger seat, Rossen drew his and Isabel’s attention to what was going on as the heavyset young gangster approached the girl. She immediately turned around and started walking in the opposite direction, but the youth simply turned and followed her. As he dogged the young woman, Rossen gunned the truck toward the girl, all three of its occupants tense at what they were watching take place. The gang member followed the girl for a moment, then grabbed her by the arm and started dragging her toward the back of the station as Rossen and Slade slammed out of the idling truck. Rossen yelled, but it was only swallowed up in the music that issued from the station speakers and they started to run. It all happened so fast they couldn’t stop it as the girl slapped her aggressor and began to fight him. The much larger youth backhanded her, sending her reeling into the building. Her guitar was knocked away and shattered as it hit the pavement and the gangster jerked her arm up behind her back, turned her and slugged her full in the face. The blow knocked her backwards. She stumbled off the curb, tried unsuccessfully to put an arm back to break her fall and then slammed into the asphalt on the back of her head. Rossen was horrified when the young woman lay sickeningly still. Arriving seconds too late, Slade punched the gang member, doubling him over, and then slamming his face into his raised knee, as Rossen bent to the still form on the pavement. At that moment Isabel shouted and began to gesture at something around the corner of the building. She was pointing and yelled, “Get her inside quick, before they get here!” Rossen scooped the unconscious girl off the street and quickly climbed into the rear door Slade held for him, then Slade jumped into the driver’s seat, pulled out of the station and onto the freeway, literally closing the door as he drove away. Slade drove as fast as he dared with a trailer full of horses, while Isabel bailed over the seat to help Rossen try to stop the girl’s bleeding. At first, they couldn’t believe a nose could bleed that much, but it took only a moment to find she also had a two inch gash down the back of her head that was gushing blood. They quickly depleted the supply of napkins in the cab and went through a pillow case and then Isabel’s soft jacket, before the flow even slowed. It wasn’t until then that they noticed her left arm bent at a strange angle, and it felt like hours more before they sighted the hospital sign posted at the freeway exit, and pulled off the interstate. 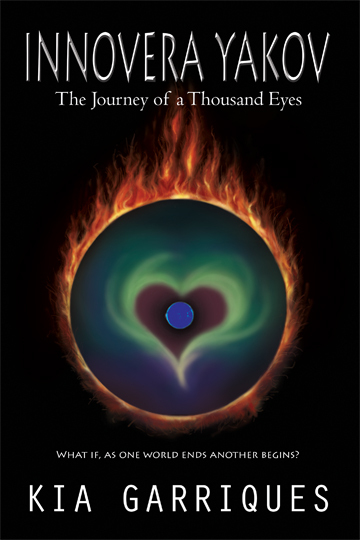 The Journey of A Thousand Eyes takes you into a world of excitement and danger where thoughts and feelings are overheard and minds can travel to other worlds. Be prepared to immerse yourself in a world where falling in love could cost you your life and nothing is as it seems. 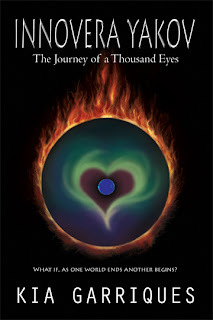 Innovera Yakov – The Journey of A Thousand Eyes is the first book in an action-packed fantasy drama series where characters with powers of healing and destruction live, love, compete and disappear without a trace while they are being prepared for the Journey.